Thank you for your interest in our office. Our commitment is to provide you the highest standard of personalized dental care in a gentle, efficient and professional manner. We trust you will find the atmosphere calming, the staff friendly, and our dental services exceptional. Check out our online only promotion! As a service to our new and existing patients, we will be offering special coupons for cleanings just for visiting our new website! We are conveniently located three blocks west of Federal Highway (US1) on Oakland Park Blvd., on the south side of the road. For more detailed information about our location, and a generalized map check out the Location section of our site. 1900 East Oakland Park Blvd. An ounce of prevention can save time and money! We all understand the value of preventive care when it comes to our car or home repairs, but sometimes we wait until there's a problem to take care of our oral health. At the office of Dr. David P. Szczesny, DMD, we can show you how to prevent dental problems and keep your teeth for your entire life. Our office has been serving patients of the greater Fort Lauderdale, Florida area with excellence in dental care for over 20 years. We offer comprehensive general dental services as well as specialty services such as implants, root canals, cosmetic dentistry, and even preventive dentistry for kids. Imagine it… a healthier, more attractive smile! Advances in cosmetic dentistry have made it easier than ever to have the kind of attractive, healthy looking smile you’ve always wanted. Dull, yellow teeth can be made whiter and brighter. 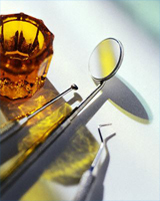 Chipped, cracked or broken teeth can be restored. In most cases crooked teeth, as well as unsightly gaps and spaces can be improved in days rather than months. If you have any questions about how cosmetic dentistry can help you, check out the 'Contact Us' section of the site to find the easiest way for you to communicate with us. We’ll be happy to arrange a consultation appointment that will show you the options and help you imagine the possibilities.